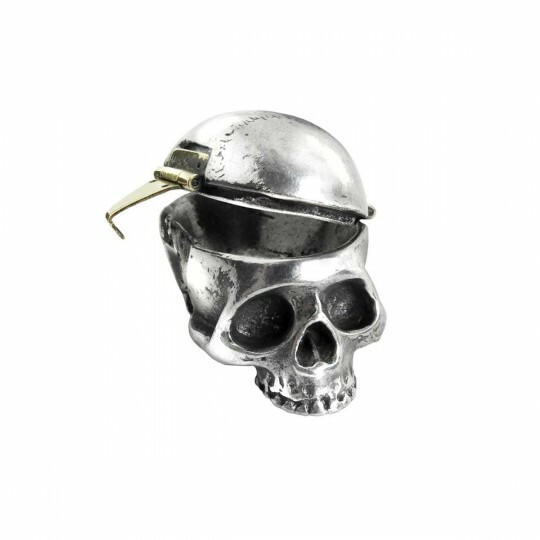 AAC47 - Mortalitas Pill Box in Gifts is made for Women and Men and comes in Black and is made of Pewter material. It is marked as Skulls and weighs about 1.00 lb. A miniature bedside skull to keep safe and remind you of your daily ration of essential medication; with brass hinge and catch. Width 1.38 x Height 0.83 x Depth 1.34 Approx.